Say You're Proud to be an American! 6" flags printed with colorfast ink. Mounted on a wood stick. Flags printed with colorfast ink are mounted on a wooden staff with a gilded spear. 6". Made in the USA. Pack of 12. 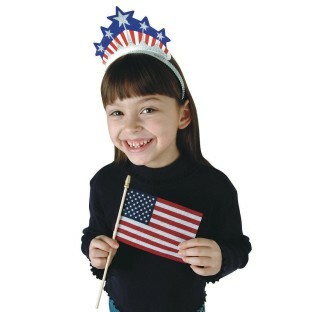 We used them for several patriotic programs but preferred smaller ones.